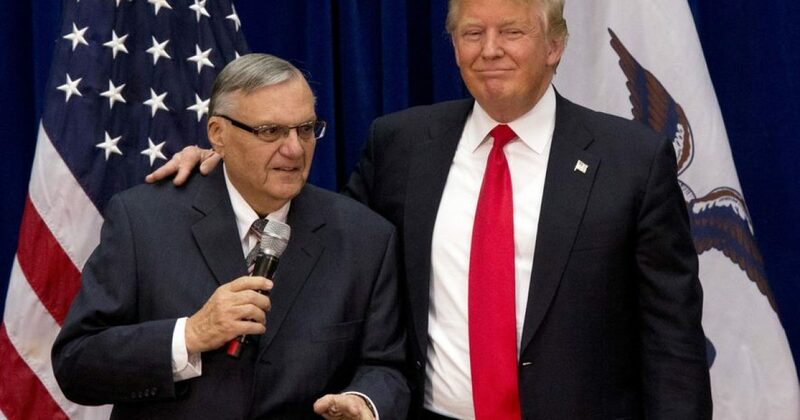 President Trump just pardoned Sheriff Joe! The White House said Mr. Arpaio was engaged for more than a half century in his “life’s work of protecting the public from the scourges of crime and illegal immigration.” “After more than fifty years of admirable service to our nation, he is worthy candidate for a presidential pardon,” the White House said. The president had been broadly hinting that he might issue a pardon for Mr. Arpaio, who was convicted by a judge last year of criminal contempt for ignoring order last year to stop detaining people he suspected of being undocumented immigrants. Mr. Arpaio lost a bid for re-election last November.